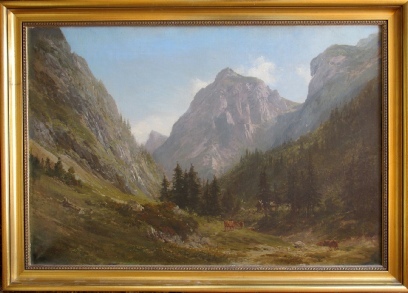 Mountain Paintings fine original Mountain Art for sale, early Alpine paintings, Mountains and the Alps. 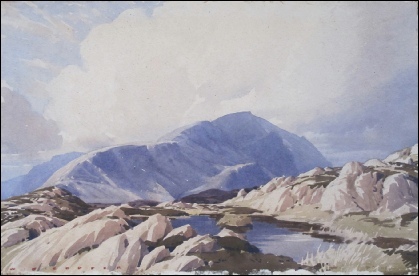 Compton, Edward Theodore. 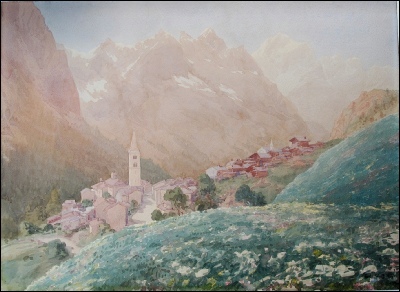 [1849-1921] Täschhorn, Dom from below Mischabeljoch. 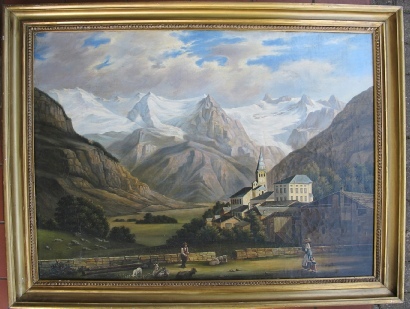 above Saas Fee. 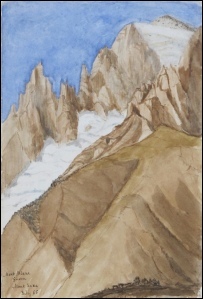 Alphubel (with another mountain verso) 1902 watercolour heightened with white bodycolour over traces of pencil. signed and dated. 33.5 x 24 cms. Dobbin, John. 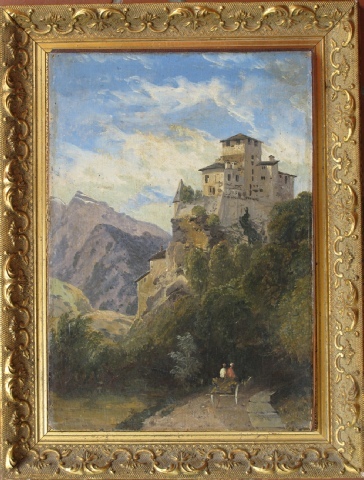 [1815-1888] Trento. watercolour. signed b.l. with title b.r. 45.5 x 68.5 cms. anon. English school. 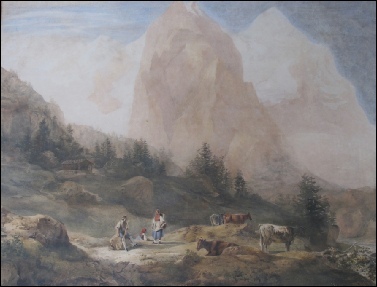 (Mentone verso) Mont Blanc from Mont Saxe. 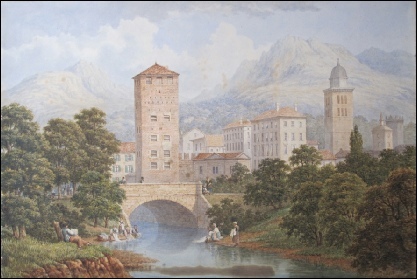 1855 watercolour. title and date July 55 bottom left. 20 x 13 cms. Varley, John. 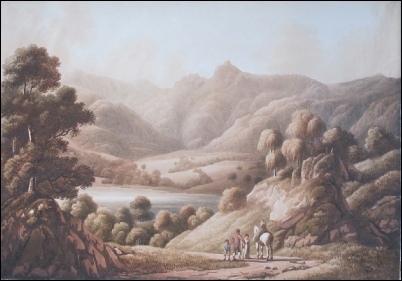 OWS [1778-1842] 'Snowdon from Capel Curig. 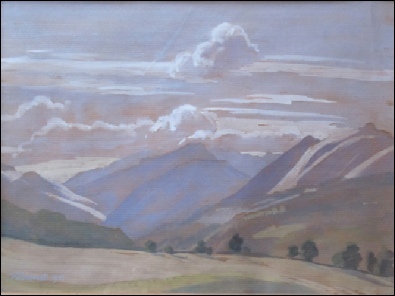 N. Wales'. 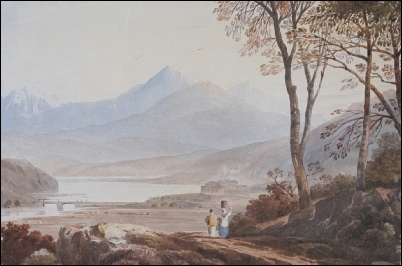 Dyffryn Mymbyr 1811 watercolour on card paper. signed in ink with title and date verso. 26 x 36 cms. 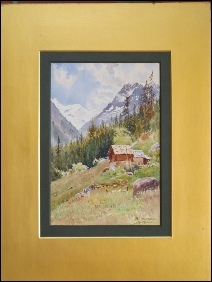 SPINK mount in frame. Salter, John William. 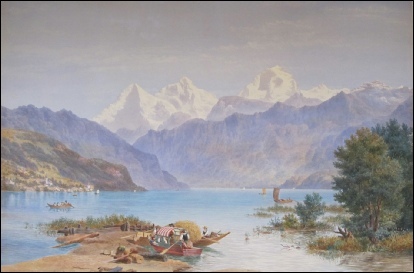 [1825-1891] Eiger, Monch and Jungfrau - Thunersee. 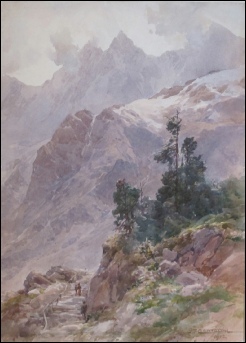 1886 watercolour. 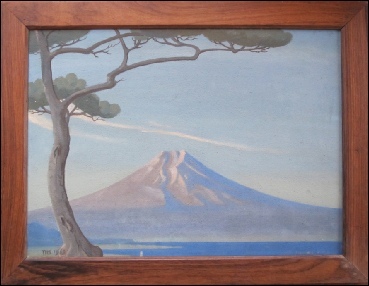 signed J. Salter and dated bottom left. and verso with title in pencil. 49 x 75 cms. framed & glazed. 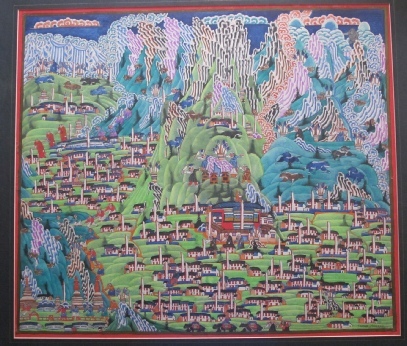 Student of Kappa Kalden in the Thanka style.